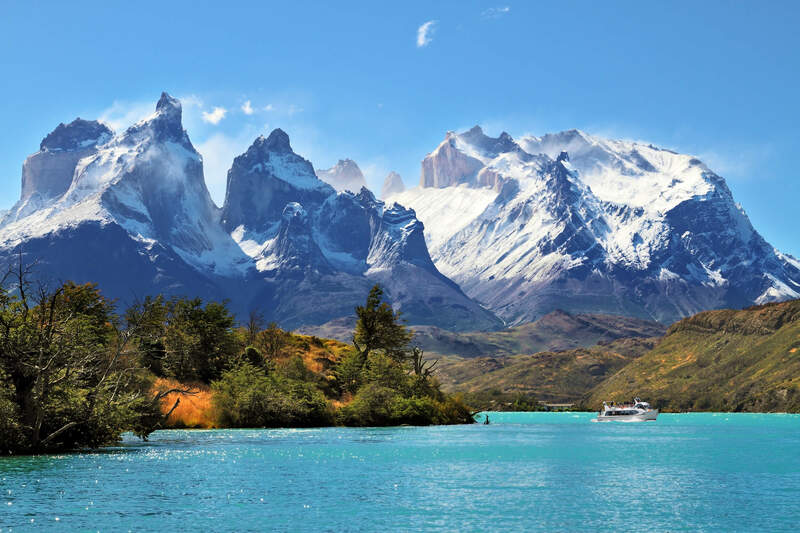 Chile is truly one of the most remarkable places on Earth. 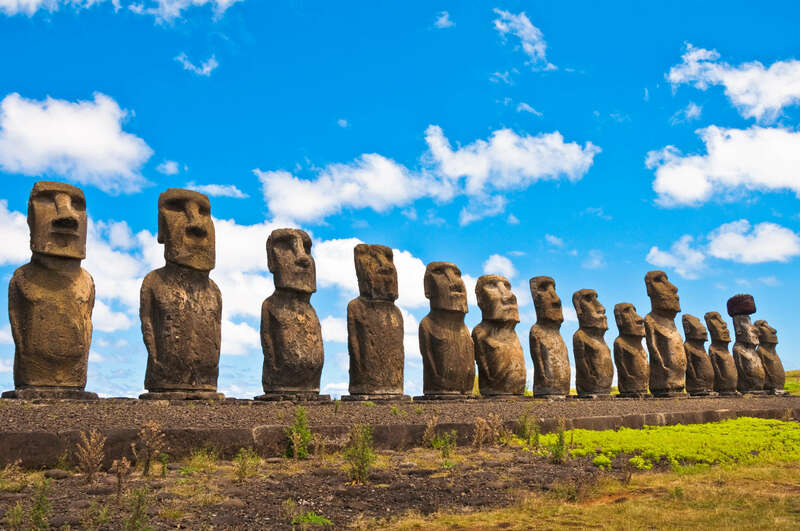 A land of extremes and superlatives, this sliver of a country on the western edge of South America – 4,300 kilometers (2666 mi) long, but only 177 kilometers (110 mi) wide – is home to both the world’s driest desert and rainiest alpine forests. 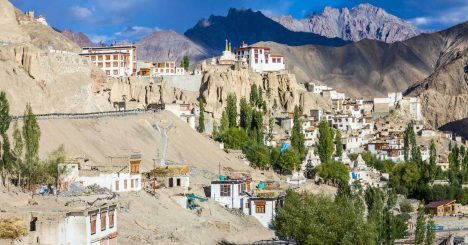 From snow-capped volcanoes and icy fjords to sunny beaches, and fertile vineyards almost every type of scenery is available here. 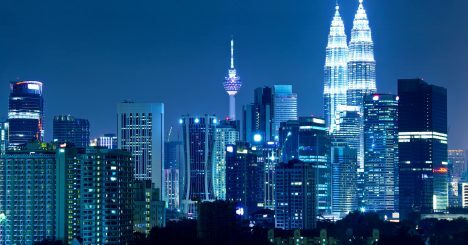 The country’s reputation for fine wines and delicious cuisine, welcoming atmosphere and splendid array of natural and cultural attractions means there’s something for virtually everyone to enjoy. – Sail through fjords and glaciers, surrounded by an ancient nature with a beautiful flora and fauna, especially penguins, elephant seals and whales. – Visit to La Sebastiana Museum in Valparaiso that was one of Pablo Neruda´s three homes in Chile. Vik Wine Lodge is an avant-garde hotel and a wine Spa with an unbeatable location, innovating architecture, design and art, and a truly customize service. The invitation is to discover a unique retreat and an incomparable wine experience through its cuisine, which highlights the Chilean terroir, its different excursions and its Wine Spa with treatments inspired on the terroir that incorporates VIK grapes. Upon landing at Santiago International Airportand clearing arrival formalities, you will be greeted after immigration and transferred to Santa Cruzby private air-conditioned vehicle. After Breakfast, Check Out and be transferred to the Santiago Airport for a flight to Punta Arenas. Upon arrival at Punta Arenas Airport you will be met by a guide to transfer you to the hotel. Enjoy the rest of the day at leisure to relax at the hotel. Australis is a ship company that specializes in sailing to the southernmost channels of the Chilean-Argentinean Patagonia sailing through fjords and glaciers, surrounded by an ancient nature with a beautiful flora and fauna, especially penguins, elephant seals and whales. Exploring the Strait of Magellan, the Beagle Canal, or Cape Horns on a First class cruise ship is an incomparable experience. On arrival in Puerto Natales, get transferred to Remota in Patagonia for a 3 night all-inclusive adventure program. On Arrival in Santiago, you will be greeted at the Airport and transferred to the hotel. Rest of the day is at leisure. Begin your one hour and forty-five minute journey on Route 68 from your hotel in Santiago heading towards the coast to the beautiful city of Viña del Mar, also known as the Garden City, for a visit of its main streets and avenues, museums, and its large homes and palaces. Later head along the coast towards Reñaca, one of Chile’s most famous beach towns to enjoy a bit of sunshine and nature! Head around the bay to Valparaíso, and set off by discovering this busy port city with its charming hills. 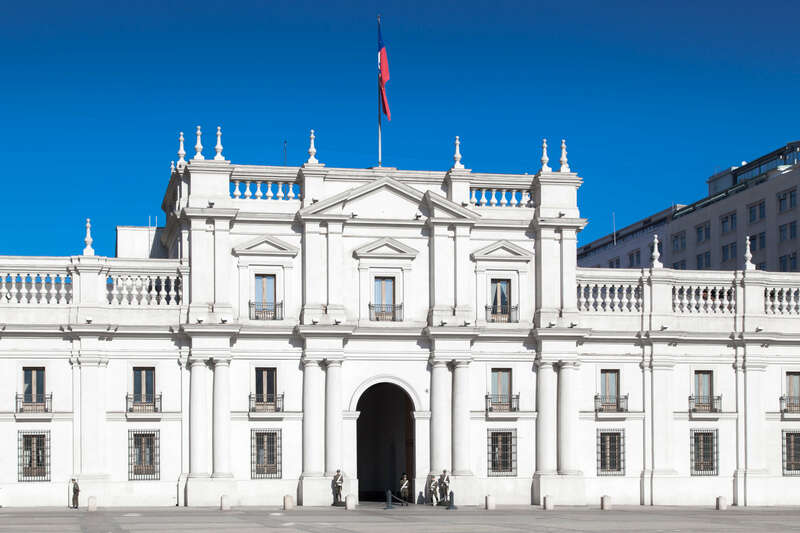 Pass by Chile’s parliament building as well as other examples of the historical architecture that makes Valparaíso a World Heritage Site since 2003. Once in Valparaíso, start off with a visit to La Sebastiana, one of Pablo Neruda´s three homes in Chile, now a Museum. Your next stop is a must; the “Artillería” lift will take you to the 21 de Mayo lookout point. 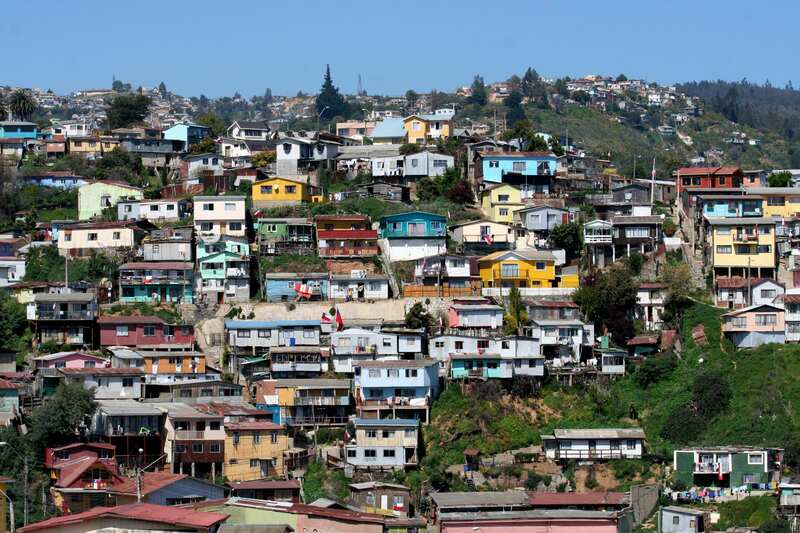 There is no place in Valparaiso with this view; watch the port activity, the rolling hills full of color and furthermore, see how the city has developed over recent years. Continue around the “cerros” or hills of the city to the San Luis square. Come across Cerro Concepción, and discover it on foot with its Anglican and Lutheran churches, and the Paseo Atkinson alleyway with its famous Brighton Restaurant. Walk over to Paseo Gervasoni where the famous Café Turri and the house of the cartoonist Lukas are located. 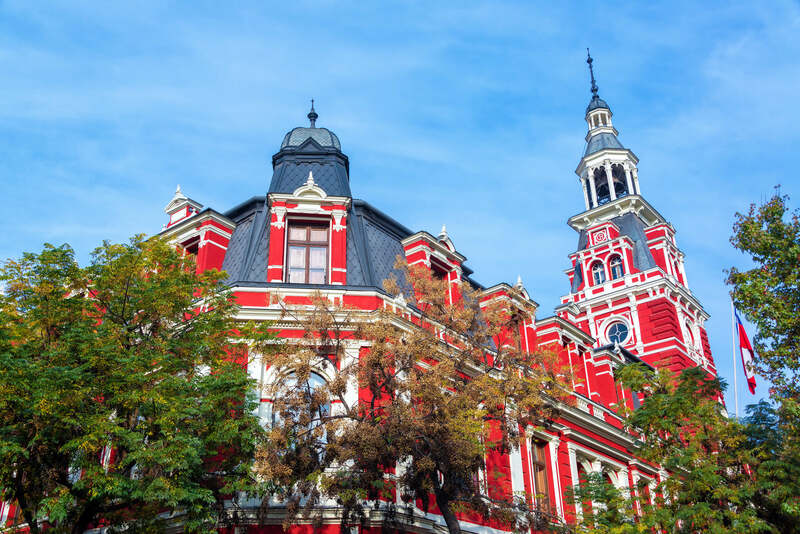 Cross over to Cerro Alegre where the Paseo Yugoslavo and Baburitza Palace, once home to a Croatian immigrant and now the recently renovated Fine Arts museum of Valparaiso, are situated. From here descend on the “El Peral” lift to encounter the Plaza Sotomayor. This is where the Monument to the Fallen Heroes of Iquique is emplaced. After a day of intense exploring, return to the hotel for a scrumptious dinner. From your hotel in Santiago, the city downtown awaits you. Proceed through the main avenue of the city, Alameda del Libertador General Bernardo O’Higgins, passing by the San Francisco Church, the oldest monument of the country erected in 1568 housing a convent, miraculously withstanding several earthquakes. After a quick visit to Santa Lucía’s Hill top, descend to visit the Lastarria Neighborhood, located right below the hill. This recently renovated neighborhood houses little cute cafés, exquisite restaurants and a couple of museums worth visiting (time permitting). A few blocks away, walk along Paseo Ahumada until reaching Plaza de Armas. When Pedro de Valdivia founded Santiago in 1541, he laid out this square as the heart of the newly-formed city. This bustling spot houses the oldest buildings of the capital: the Cathedral Church of Santiago, rebuilt in 1748 on the very site where all four previous churches were destroyed by fires and earthquakes. A little further, cross the Mapocho River and head straight towards the Bellavista Neighborhood, a lively place, core of the night and artistic life, where pubs, cultural centers and international gastronomy can be found. From here, ascend the San Cristóbal Hill, a spur of the Andes marching into Santiago, where the famous Virgin Mary statue overlooks the city. Conclude this day with a panoramic view of the city and the majestic Andes in the background.